Availability: We're sorry, but Single Small Sunbreeze Balms are unavailable until Nov. 19. Please continue shopping for other Sunbreeze like Large Balm, 6 packs or 12 packs that we offer. We apologize for any inconvenience. 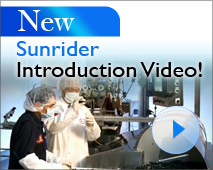 Sunbreeze - Made in the USA by Sunrider since 1982! Not sold in typical health food stores. Beware of unauthorized Sunbreeze sellers on auction sites! Watch out for expired or copy-cat merchandise. Sunrider does not vouch for them. 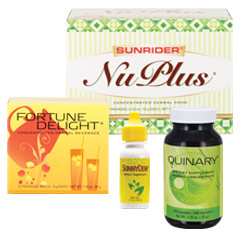 As with all the herbal supplements, whole foods and natural health drinks we sell at BestHealthFoodStore.net, Sunbreeze Balm is not available in typical retail stores. A small amount of Sunbreeze Balm provokes an instant response of "AAAAhh" from everyone who tries it. Place a small amount on your hand, rub hands together and simply breathe to enjoy the aroma. Rub on temples and back of the neck. Massage into the bottom of the feet. Sunbreeze Balm is one of over 400 Sunrider products that are surprisingly effective without the use of artificial ingredients or chemicals. It's similar to Sunbreeze Essential Oil, but in a waxy texture. Sunbreeze Balm comes in a flat, circular container and lasts a long time because it is is so concentrated. With small amounts of Sunbreeze you can feel a big difference right away. It's a favorite for neck rubs, or on the temples. The totally natural, super concentrated scent of menthol makes Sunbreeze Balm a breath of fresh air. Like the Sunbreeze Essential Oil, Sunbreeze Balm is great for massaging tired muscles and so much more. Menthol, Wax, Cassia Oil and Camphor. "I first heard about Sunbreeze from a co-worker 10 years ago. I keep one at work and one at the house. I have introduced it to co-workers. It CLEARS you right up. The best part is it's all natural, and it only takes a TINY bit then you’re good to go! I just love it!" We are certain you'll be impressed with Sunbreeze Balm and will want to share it with friends and family members. It's an amazing product for sore muscles and so much more.